View cart “Piazzolla, Astor: The Four Seasons and other Tangos” has been added to your cart. With three theatres screening high quality and essay films, an interactive museum which has become a highly rated educational centre for training in cinematography, a huge underground archive of motion-pictures films that can be explored by augmented reality applications, a film restoration and post-production lab, a library with an extensive collection of rare volumes and magazines about cinema. Francesca Badalini graduated in piano at the “Conservatorio of Genova”, in composition at “Civica Scuola di Musica Claudio Abbado” in Milan and in Ancient Literature at “Università Statale di Milano”. After the degree she attended several masterclasses about: chamber music, some with P. Badura Skoda and A. Kontarsky, composition for both theatre and cinema including a masterclass with N. Piovani at “Accademia Chigiana” in Siena, and masterclasses about improvisation and jazz piano. She teaches piano, composition, improvisation and film music (“Scuola Internazionale Musicale di Milano”, “Università del Tempo Libero di Melzo”, “Politecnico di Milano”, “Dreamers” Como Film Academy) and runs music workshops for children. Her work embraces composing scores for theatre, audiobooks, short films, documentary films, silent movie DVDs and live improvisation. Since 1999 she steadily works with the Cineteca Italiana as a pianist, accompanying silent movie projections. 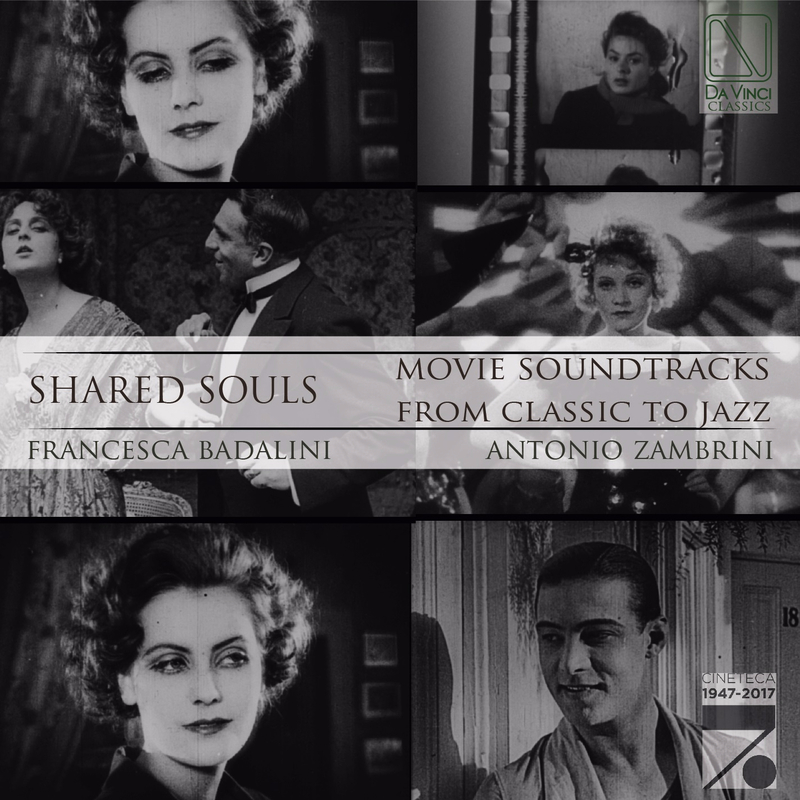 This work has led her to compose and play live soundtracks for silent movies all across Italy, in France, Switzerland and Tunisia (Venice, Teatro La Fenice; Milan, Spazio Oberdan; Turin, Museo del Cinema; Genoa, Teatro della Tosse; Nice, Cinémathèque de Nice, among the others) and in several festivals such as “Festival del Cinema di Locarno” in Locarno, Switzerland, “Le Giornate del Cinema Muto” in Pordenone, Italy, “Il Cinema Ritrovato” in Bologna, Italy, “Festival du Cinéma Italien” in Annecy, France, “Castellinaria” in Bellinzona, Switzerland. She has composed the scoring for Julia Gromskaya’s award-winning animated short films, winning 5 prizes for the “BestSoundtrack”, and for Simone Massi, the “David di Donatello” award winner in the animation category. In 2012 she composed the score for the Venice Film Festival opening sequence drawn by this artist. In 2010 she realized her first cd “Musiche in Bianco e Nero” that collects her best soundtracks. In the same year, she won the “Bianca D’Aponte” award for “Best Female Italian Soundtrack Composer”. Since 2014 she conducts the musical program “Apertura Musicale” broadcast by “Radio Popolare”. Badalini, Francesca (Pianist), graduated in piano at the “Conservatorio of Genova”, in composition at “Civica Scuola di Musica Claudio Abbado” in Milan and in Ancient Literature at “Università Statale di Milano”. After the degree she attended several masterclasses about: chamber music, some with P. Badura Skoda and A. Kontarsky, composition for both theatre and cinema including a masterclass with N. Piovani at “Accademia Chigiana” in Siena, and masterclasses about improvisation and jazz piano. She teaches piano, composition, improvisation and film music (“Scuola Internazionale Musicale di Milano”, “Università del Tempo Libero di Melzo”, “Politecnico di Milano”, “Dreamers” Como Film Academy) and runs music workshops for children. Her work embraces composing scores for theatre, audiobooks, short films, documentary films, silent movie DVDs and live improvisation. Since 1999 she steadily works with the Cineteca Italiana as a pianist, accompanying silent movie projections. This work has led her to compose and play live soundtracks for silent movies all across Italy, in France, Switzerland and Tunisia (Venice, Teatro La Fenice; Milan, Spazio Oberdan; Turin, Museo del Cinema; Genoa, Teatro della Tosse; Nice, Cinémathèque de Nice, among the others) and in several festivals such as “Festival del Cinema di Locarno” in Locarno, Switzerland, “Le Giornate del Cinema Muto” in Pordenone, Italy, “Il Cinema Ritrovato” in Bologna, Italy, “Festival du Cinéma Italien” in Annecy, France, “Castellinaria” in Bellinzona, Switzerland. She has composed the scoring for Julia Gromskaya’s award-winning animated short films, winning 5 prizes for the “BestSoundtrack”, and for Simone Massi, the “David di Donatello” award winner in the animation category. In 2012 she composed the score for the Venice Film Festival opening sequence drawn by this artist. In 2010 she realized her first cd “Musiche in Bianco e Nero” that collects her best soundtracks. In the same year, she won the “Bianca D’Aponte” award for “Best Female Italian Soundtrack Composer”. Since 2014 she conducts the musical program “Apertura Musicale” broadcast by “Radio Popolare”.